unforgettable adventures to every corner of the globe. Whether you’re rewarding your top sales people, hosting your top clients, or sharing a love of philanthropy and cultural interests with members and donors, our award-winning trip designers will craft a trip you’ll hardly believe was possible. Want to rub elbows with a Michelin-starred chef in a cooking class in his private kitchen? Or take aim in a helicopter paint ball game in the African outback? With a wealth of experience planning corporate and affinity travel, we work with CEOs, corporate travel planners and alumni and donor groups to craft unforgettable experiences for organizations of all sizes – all with an attention to detail unmatched by anyone else. While each of our trips is uniquely designed to your business and group, every departure bears the hallmarks we’ve become known for: unparalleled routes, exceptional hotels, meticulous attention to detail, incredible guides and the kind of insider access that only comes after 50 years spent making friends around the world. Why Use B&R For Your Corporate Travel? Because with B&R, the standard retreat is anything but standard. We don’t do cookie cutter, and you’ll never find us scrambling for ideas. We’ve been around for a while (if you count half a century as “a while”), and we’re big enough to have global scale, but still small enough to provide flexible and highly personalized service. And if we’ve learned anything in our 50 years, it’s that creativity and passion are paramount. That’s why we go deep to uncover the hidden gems and authentic personalities that will wow your employees, clients and members. 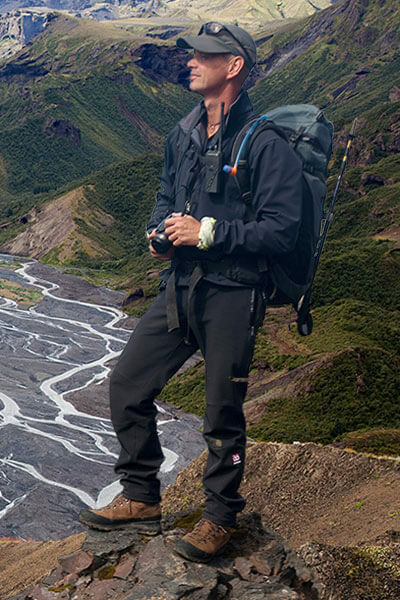 Our team of extraordinary staff includes world-class guides and award-winning trip designers who have no equals. We’ll work closely with you to design the perfect trip that meets your price range and service needs (and then make sure it exceeds your expectations). In short, we understand how to make very successful (and occasionally very demanding) people very happy. We’re here to make you look good! There’s a reason why companies and our leisure travellers return to us time and time again. With one of the best repeater scores in the industry we know we do things well and ensure we deliver a B&R signature experience with every itinerary. Why fall short on true appreciation by giving your top performers a bottle of champagne when you can take them to the cave in France and taste it first hand. Need a professional photographer on the trip? Hoping to theme your team? B&R is able to customize the smallest details and has the connections to make it seamless for you. Because we personally oversee our planning and operations we can easily provide for small and large groups. Have a dispersed team of Senior VPS across the continents? Need to organize something quickly to maximize travel schedules? B&R has a vast collection of travel itineraries to bring your forum group or team together in record time. While other companies need long lead times, we pride ourselves on capturing the moment…even if it is now! When the stakes are high and you’re looking to wow your clients, we deliver. Our travellers range from Wall Street billionaires to Hollywood celebrities; from media moguls to political heavyweights (we’re only missing a President); from artistic luminaries to Nobel prize winners. We have plenty of normal (though highly successful) people who travel with us as well and we treat them all with the same B&R finesse. When you’re looking to create memories that last well into the next fiscal year, we’re your boutique travel company. Looking to engage with your highest donors? Want to launch a new fundraising campaign for your museum or art gallery expansion? B&R works with multiple alumni and membership groups to create travel experiences tailored to their unique objectives. Whether you need to include a few complimentary hosts in the tour, provide for a fundraising element for the trip or simply customize the travel content to something more specific to your institutional interests, we provide the flexibility to make things happen in a way that doesn’t feel like “group travel”. The B&R adventure cannot be replicated. We visited destinations that I had been to before, but the B&R approach offered an entirely new experience that was completely unique and gave me an opportunity to encounter people, places and things that I only could have experienced on a B&R adventure. As a busy executive and CEO, I carry a weight of responsibility for my staff, stakeholders and company partners. This trip transported me to a calm and seldom experience. I disconnected from my normal world to reflect on my own needs and thoughts. I didn’t execute a thing. It was a rare gift. Read this sample itinerary to better understand the spectacular experience we can provide your team! Stay in historic Beaune, cycle through verdant Cote de Nuits and dine at Michelin-starred restaurants. What better way to incentivise your employees? Reward your employees with ancient roads, rolling green hills, sprawling vineyards and farm-fresh pasta! This sample itinerary has it all. Treat your clients like royalty while discovering the land of kings and camels, soaring mountains and once-in-a-lifetime-experiences. Your clients will never forget this wonderful country dominated by the Andes. Impress them with rides through the valleys, hikes on the endless coast and award-winning wine! with more people than any other country on Earth, explore this country by jet for a true luxury experience. Blow your clients away with incredible views of the Andes from this strip of land running up South America's south-western coast.